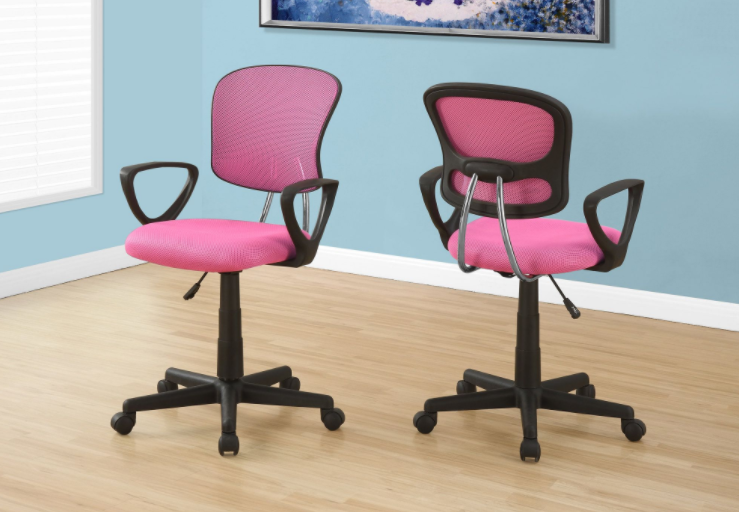 I-4290 Office Chair – This gorgeous contemporary high back office chair will add both style and comfort to your home office or study area. 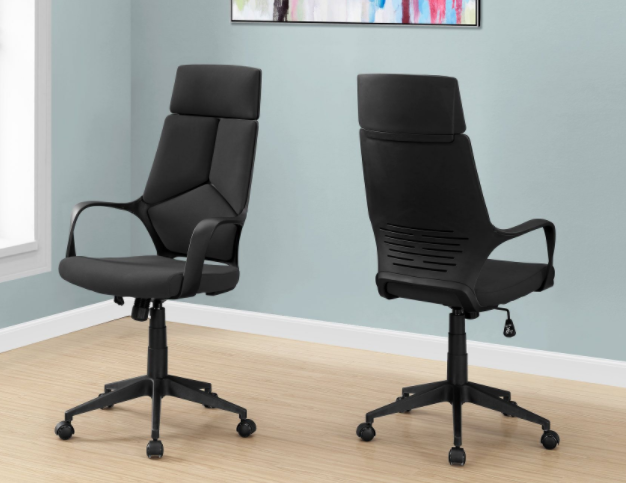 The plush high chair back and seat are covered in rich black faux leather for comfortable seating, framed by sleek curved padded metal arms for a modern look. 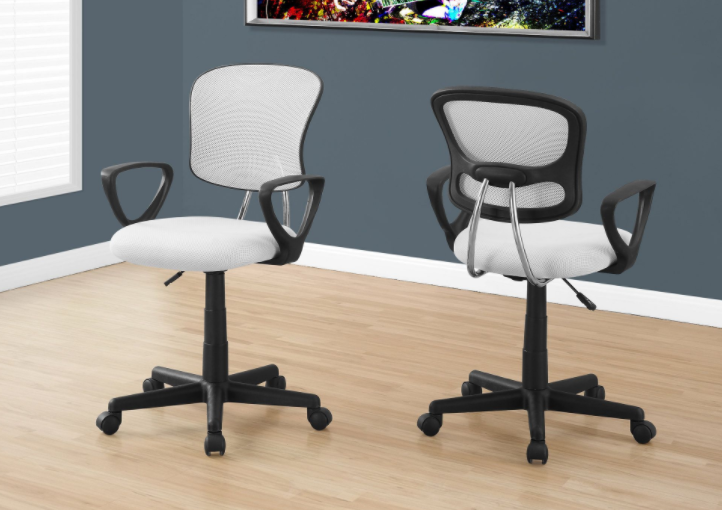 An adjustable height and tilt lever allows you to customize the fit along with 5 castors below the chrome colored base for easy mobility. 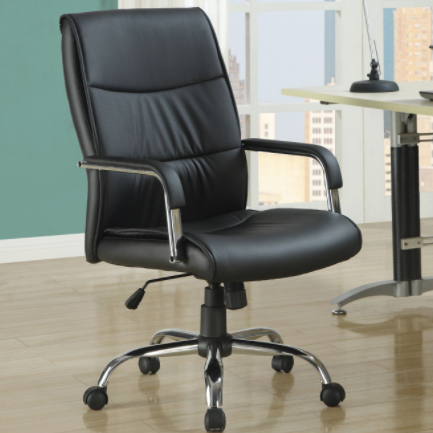 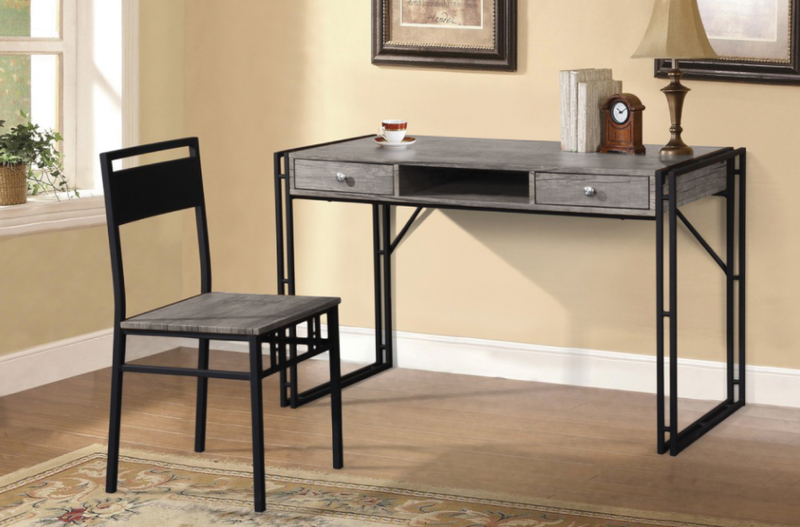 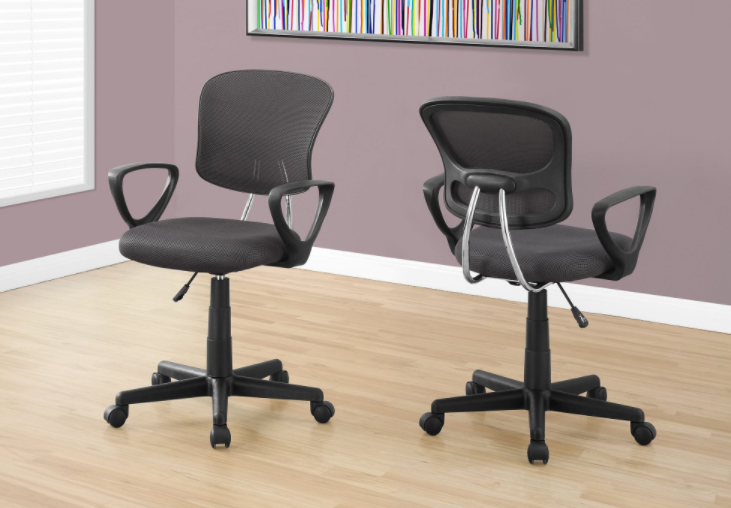 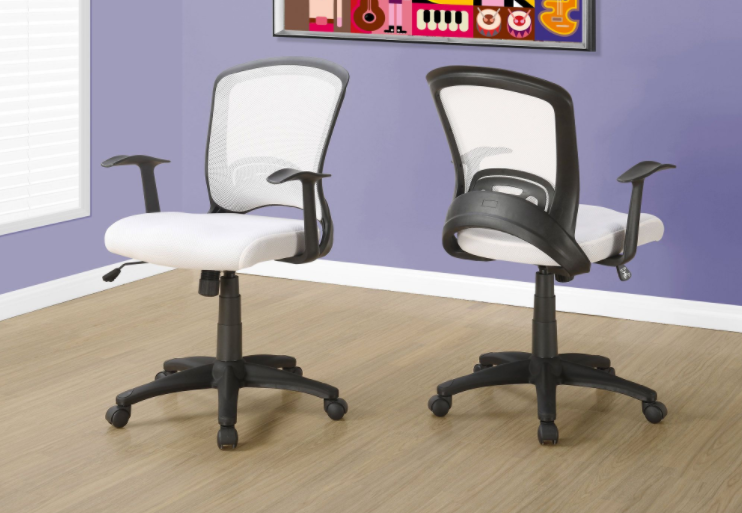 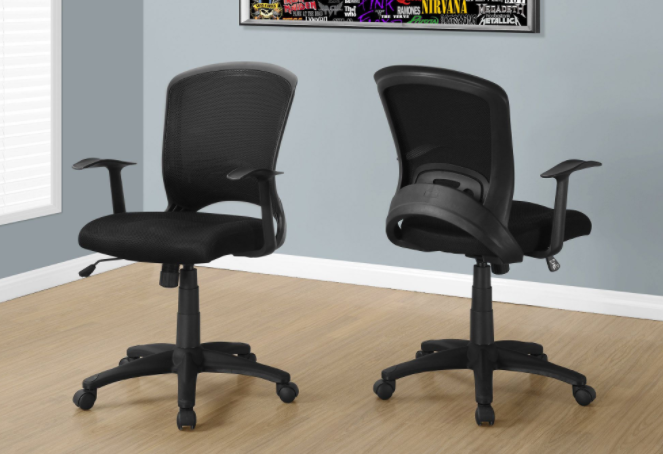 Create a warm and stylish home office or work area with this comfortable executive style office chair.